Carlo Gesualdo, Prince of Venosa. Carlo Gesualdo, known as Gesualdo da Venosa (March 8, 1566 – September 8, 1613), Prince of Venosa and Count of Conza, was an Italian composer and lutist of the late Renaissance music as well as a nobleman and notorious murderer. He is famous for his intensely expressive madrigals, which use a chromatic language not heard of until the nineteenth century. He is also famous for committing what are possibly the most famous murders in musical history. Gesualdo was part of an aristocratic family which acquired the principality of Venosa in 1560. His uncle was Carlo Borromeo, later known as Saint Charles Borromeo. In addition, Gesualdo's mother, Girolama, was the niece of Pope Pius IV. Most likely he was born in Venosa, but little else is known about his early life. Even his birthdate—1560 or 1561, or 1566&mdashis a matter of some dispute, though a recently discovered letter from his mother indicates he was probably born in 1566. Gesualdo had a musical relationship with Pomponio Nenna, though whether it was student to teacher, or colleague to colleague, is uncertain. He had a single-minded devotion to music from an early age, and showed little interest in anything else. In addition to the lute, he also played the harpsichord and guitar. In 1586, Gesualdo married his first cousin, Donna Maria d'Avalos, the daughter of the Marquis of Pescara. Two years later, she began a love affair with Fabrizio Carafa, the Duke of Andria. Evidently she was able to keep it secret from her husband for almost two years, even though the existence of the affair was well-known elsewhere. Finally, on October 16, 1590, at the Palazzo San Severo in Naples, when Gesualdo had allegedly gone away on a hunting trip, the two lovers took insufficient precaution. It is rumored that Gesualdo had arranged with his servants for the doors to be left unlocked. He returned to the palace, caught them, and brutally murdered them both in their bed. Afterwards he left their mutilated bodies in front of the palace for all to see. Being a nobleman, he was immune to prosecution, but not to revenge, so he fled to his castle at the town of Gesualdo where he would be safe from any of the relatives of either his wife or her lover. Details on the murders are not lacking, because the depositions of witnesses to the magistrates have survived in full. While they disagree on some details, they agree on the principal points, and it is apparent that Gesualdo had help from his servants, who may have done most of the killing. Gesualdo certainly stabbed Maria multiple times, shouting as he did, "She's not dead yet!" The Duke of Andria was found slaughtered by numerous deep sword wounds, as well as by a shot through the head. The murders were widely publicized, including in verse by poets such as Torquato Tasso and an entire flock of Neapolitan poets, eager to capitalize on the sensation. The salacious details of the murders were broadcast in print, but nothing was done to apprehend the Prince of Venosa. The police report from the scene makes for shocking reading even after more than 400 years. Accounts on events after the murders differ. According to some contemporary sources, Gesualdo also murdered his second son by Maria, who was an infant, after looking into his eyes and doubting his paternity. Another source indicates that he murdered his father-in-law as well, after the man had come seeking revenge. Gesualdo had employed a company of men-at-arms to ward off just such an event. Yet, contemporary documentation from official sources for either of these alleged murders is lacking. In 1594, Gesualdo went to Ferrara, one of the centers of progressive musical activity in Italy—especially the madrigal. Ferrara was home to Luzzasco Luzzaschi, one of the most forward-looking composers in the genre. There he also arranged for another marriage, this time to Leonora d'Este, the niece of Duke Alfonso II d'Este. What she thought at the time about marrying a manic-depressive, music-obsessed murderer is not known, though she married Gesualdo and moved with him back to his estate in 1597. In the meantime, he enjoyed more than two years of creative activity in the avant-garde atmosphere of Ferrara, surrounded by some of the finest musicians in Italy. While in Ferrara, he published his first books of madrigals. Moreover, when he was in Ferrara, he worked with the concerto delle donne, the three virtuoso female singers who were among the most renowned performers in Italy, and for whom many other composers wrote music. In a letter of June 25, 1594, Gesualdo indicated he was writing music for the three women in the concerto delle donne. However, it is probable that some of the music he wrote, for example, those in the newly developing monodic and/or concertato styles, have not survived. After returning to his castle at Gesualdo from Ferrara in 1595, he attempted to set up a similar situation to that which existed in Ferrara, with a group of resident, virtuoso musicians who would perform his music. While his estate became a center of music-making, it was for Gesualdo alone. With his considerable financial resources, he was able to hire singers and instrumentalists for his own pleasure, but he was a solitary man by nature and his estate never became a cultural center the way the d'Este estate at Ferrara did. From about 1599 until his death in 1613, he hardly ever left his castle, and music seems to have been his only passion. Most of his famous music was published in Naples in 1603 and 1611, and the most notoriously chromatic and difficult portion of it was all written during his period of isolation. The relationship between Gesualdo and his new wife was not good. She accused him of abuse, and the d'Este family tried to get her a divorce. She spent more and more time away from Gesualdo's isolated estate, and he wrote many angry letters to Modena where she often went to stay with her brother. According to Cecil Gray, "She seems to have been a very virtuous lady ... for there is no record of his having killed her." In 1600, his son by his second marriage died. It was after this that Gesualdo had a large painting commissioned for the Church of the Order of Friars Minor Capuchin at Gesualdo, which shows Gesualdo, his uncle Carlo Borromeo, his second wife Leonora, and his dead son, underneath a group of angelic figures. Late in life he suffered from depression. Whether or not it was related to the guilt over his multiple murders is difficult to prove, but the evidence is suggestive. According to Campanella, writing in Lyon in 1635, he had himself beaten daily by his servants, and he kept a special servant whose duty it was to beat him "at stool." He engaged in a relentless and fruitless correspondence with Cardinal Borromeo to obtain relics, i.e. skeletal remains, of his uncle Carlo, with which he hoped to obtain healing for his mental disorder and possibly absolution for his crimes. His late setting of Psalm 51, the Miserere, is distinguished by its insistent and imploring musical repetitions, alternating lines of monophonic chant with pungently chromatic polyphony in a low vocal tessitura. Gesualdo died in isolation, at his castle Gesualdo in Avellino, three weeks after the death of his son Emanuele, his first son by his marriage to Maria. One twentieth century biographer has suggested he may have been murdered by his wife. He was buried in the chapel of Saint Ignatius, in the church of the Gesù Nuovo in Naples. The sepulchre was destroyed in the earthquake of 1688. When the church was rebuilt, the tomb was covered over and is now under the pavement of the church. The burial plaque, however, remains. The evidence that Gesualdo was tortured by guilt for the remainder of his life is considerable, and he may have given expression to it in his music. One of the most obvious characteristics of his music is the dark chromatic dissonance emphases that he places on certain emotional words. "Love, "pain," "death," "ecstasy," "agony," and other similar words occur frequently in his madrigal texts, most of which he probably wrote himself. While this type of word-painting is common among madrigalists of the late sixteenth century, it reached an extreme development in Gesualdo's music. While he was famous for his murders, he also remains famous for his music, which is among the most experimental and expressive of the Renaissance, and without question is the most wildly chromatic. Progressions such as those written by Gesualdo did not appear again in music until the nineteenth century, and then in a context of tonality that prevents them from being directly comparable. Gesualdo's published music falls into three categories: sacred vocal music, secular vocal music, and instrumental music. His most famous compositions are his six published books of madrigals (between 1594 and 1611), as well as his Tenebrae Responsories, which are very much like madrigals, except that they use texts from the Passion. In addition to the works which he published, he left a large quantity of music in manuscript. These contains some of his richest experiments in chromaticism, as well as compositions in such contemporary avant-garde forms as "monody." Some of these were products of the years he spent in Ferrara, and some were specifically written for the virtuoso singers there, the three women of the concerto di donne. The first books of madrigals that Gesualdo published are close in style to the work of other contemporary madrigalists. Experiments with harmonic progression, cross-relation and violent rhythmic contrast increase in the later books, with Books Five and Six containing the most famous and extreme examples (for instance, the madrigals "Moro, lasso, al mio duolo" and "Beltà, poi che t'assenti," both of which are in Book Six, published in 1611). There is evidence that Gesualdo had these works in score form, in order to better display his contrapuntal inventions to other musicians. Moreover, Gesualdo intended his works to be sung by equal voices, as opposed to the concerted madrigal style popular in the period, which involved doubling and replacing voices with instruments. Characteristic of the Gesualdo style is a sectional format in which relatively slow-tempo passages of wild, occasionally shocking chromaticism alternate with quick-tempo diatonic passages. The text is closely wedded to the music, with individual words being given maximum attention. Some of the chromatic passages include all 12 notes of the chromatic scale within a single phrase, although scattered throughout different voices. Gesualdo was particularly fond of chromatic third relations, for instance juxtaposing the chords of A major and F major, or even C-sharp major and A minor (as he does at the beginning of "Moro, lasso." His most famous sacred composition is the set of Tenebrae Responsoria, published in 1611, which are stylistically madrigali spirituali &mdash or madrigals on sacred texts. As in the later books of madrigals, he uses particularly sharp dissonance and shocking chromatic juxtapositions, especially in the parts highlighting text passages having to do with Christ's suffering, or the guilt of St. Peter in having betrayed Jesus. 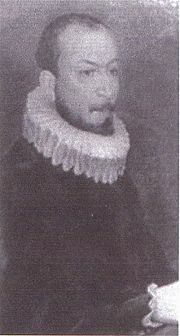 Gesualdo had little influence at the time, although a few composers such as Sigismondo d'India and Antonio Cifra wrote a handful of works in imitation of his madrigalian style. It was only in the twentieth century that he was rediscovered. The life of Gesualdo provided inspiration for numerous works of fiction and music drama, including a novel by Anatole France. In addition, twentieth century composers responded to his music with tributes of their own. Alfred Schnittke wrote an opera in 1995 based on his life, Igor Stravinsky arranged Gesualdo's madrigal "Beltà, poi che t'assenti" as part of his Monumentum pro Gesualdo (1960), and contemporary composer Salvatore Sciarrino has also arranged several of his madrigals for an instrumental ensemble. In 1997, the Australian composer Brett Dean paid homage to Gesualdo in "Carlo"—an intense and affecting work for string orchestra, tape and sampler. While other composers at the end of the sixteenth century and beginning of the seventeenth century wrote experimental music, Gesualdo's creation was unique and isolated, without heirs or followers. This is a fascinating dead-end in musical history, and an analogue to his personal isolation as an heiress prince, perhaps ruined by guilt. Locations and years of publication follow after the book number. The poets are named in parentheses, if known. Madrigals are listed alphabetically by book. Einstein, Alfred. The Italian Madrigal. Princeton, 1949. Gray, Cecil, and Philip Heseltine. Carlo Gesualdo, Musician and Murderer. London, St. Stephen's Press, 1926. This page was last modified on 12 January 2017, at 21:28.